I use 2 bags of these rocks in a reactor. Really helps control nitrates and phosphates. 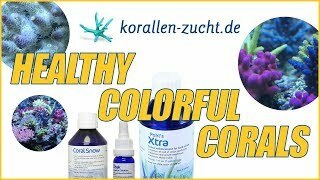 Used with the other core products of the zeovit method really makes my corals bright and vivid. I started with about 30% in a mesh bag, my anemone closed up tight and the skimmer went crazy. I removed it after an half hour and everything returned to normal quickly. I did some research and found that starting with 10% is recommended. Not sure if it works or not yet. Like almost all German made aquarium products sold in the USA, the engineering and construction are great, but the instructions are very poor, illustrations with labeling are few to none, and the user can be left scratching their head on how to set up and make adjustments.